"If you think education is expensive — try ignorance." Second language acquisition should follow an integrated approach to the four basic skills; Listen, Speak, Read and Write. Honing each of the skills should always be in the context of integration and application. Immersion in the language is key. The aim is to improve macro skills leading to micro skills development (grammar, vocabulary, pronunciation and spelling. It is not taking a compartmentalised approach to learn about the language. Download more by clicking below. First Issue: In current South Africa with 11 official languages, approximately 90% of citizens transfer daily from their natural language environment to English in order to make a living. Second Issue: Shortfalls in the education system results in ill-prepared entrants to the workplace of the third millennium. Literacy should not be interpreted with a narrow view only to include the skills of reading and writing. 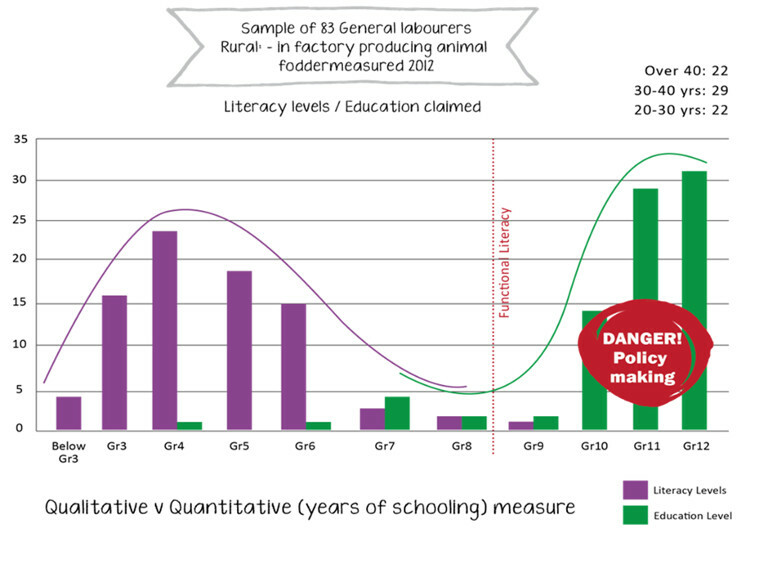 As per the Education for All Global Monitoring Report 2006 by UNESCO, "...understandings of the international community have expanded from viewing literacy as a simple process of basic cognitive skills, to using these skills in ways that contribute to socio-economic development, to developing the capacity for social awareness and critical reflection as a basis for personal and social change." 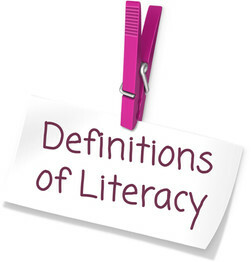 Download our display of the scope of literacy definitions. We need four skills for complete communication. 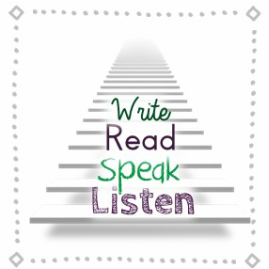 When learning our first language, we usually learn to listen first, then to speak, read and write. It is also the general order in which a second language is learnt, and therefore important to make sure that the foundations are built well enough. In using a language, all four skills are integrated and therefore activities assisting to reinforce each other will enable success. • One, starry-eyed jobseekers are invading the workplace with credentials that are NOT commensurate with their four R’s, i.e. reading, ‘riting, ‘rithmetic and reasoning (thinking). Two, there is hope because there is a cure: ELSA and the unique solutions on the English Literacy Roadmap. prescribes remedial treatment and how to effect proficiency. The question arises: why the fuss? Why not use school levels instead? After all, everybody learns English at school, and every school leaver gets an accredited school leaving certificate. The answer is simple: research shows that scholastic levels and English literacy (functional) levels are like chalk and cheese. This is especially true for the vast majority of African language users whose preferred language of learning is English. ELSA helps the employer to determine the “literacy” comfort zone of his/her workforce which, in turn, enables the employer to make training manuals, in-house publications, standing orders, IR procedures, memos, etc.,user-friendly. A co-ordinate bilingual would be an employee who has acquired English by natural assimilation and, as a result, finds a transition to “learning in and through” English relatively easy. The co-ordinate bilingual copes because of COPE, i.e. COgnition and Proficiency (listening, speaking, reading, writing) in English. Compound bilinguals, on the other hand, learn the symbols of English as mother tongue equivalents. In other words, they apply their mother tongue as a mediator. If a compound bilingual is highly motivated and exposed to good models, he/she can attain a high level of competence at school and in the workplace. Yet, if the compound bilingual is poorly motivated and, in addition, exposed to bad models, he/she will be barely competent – even incompetent. What is more, this particular employee – and he/she is the rule rather than the exception in Southern Africa – finds the transition to “learning in and through” English very difficult. The compound bilingual does not cope because he/she lacks COPE, i.e. 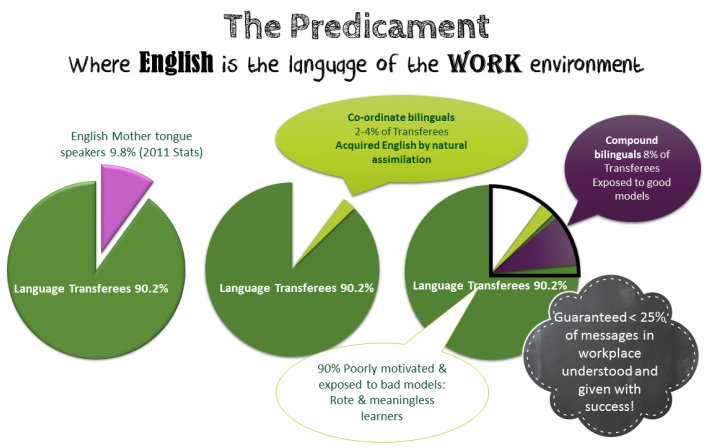 COgnition and Proficiency in English. He/she “loses meaning”, hence his/her tendency to revert to rote learning – which is meaningless learning. Meaningful learning implies conceptualisation; i.e. integrating new knowledge with existing knowledge. Rote learning and memorisation do not allow for the integration of new knowledge with existing knowledge. In fact, they even make learning systems dysfunctional in their entirety. Want to talk to us about the solutions?